Have you been planning on creating your own WordPress theme? Well, then you probably may choose to install a pre-built WordPress theme to quickly setup your website. You can easily find plenty of premium themes available online, however, selecting the most suitable theme out of the sea of options can be a time-consuming and strenuous. But, you can save your time and find an appropriate theme easily, by searching for the best selling WordPress themes. Avada has been the top selling WordPress theme on Themeforest of all time with more than 150,000 purchases. The theme developers call it as the “Swiss Army Knife” of WP themes since it provides endless possibilities in creating a winning website design. It provides beautifully-crafted and professional looking demos that make it super easy for users to set up a complete WordPress design of any style – without having to code. The X Theme comes bundled with expanded demos that can be used to build a site of any particular niche. It helps in creating web pages with the help of WordPress popular “Cornerstone” page builder – that makes the process of creating website prototypes faster. The best part about this theme is that it enables to make edits to the theme style in real time. In addition, it helps in editing the content of the site on the fly. It’s the most user-friendly theme that enables to build beautiful looking WordPress sites at a blazing fast speed – in just 2 minutes. Enfold features an awe-inspiring responsive and retina-ready layout that easily adjusts to fit the screen size of the visitor device and look great irrespective of the size of the device screen. The admin area of the theme is powerful yet simple to use. You can study about the theme features, by going through its comprehensive documentation and video tutorials. This is an excellent theme that is ideal to be used by both experienced developers, as well as, non-technical users without any coding knowledge. The uDesign can help you build your website based on your preference with minimal time and efforts. The best aspect about this theme is that it is mobile-ready and can be accessed across all the devices, regardless of the screen size and resolution. Salient is the best selling WP theme in terms of aesthetics. It comes with unique designs that will help you showcase your brand in a distinctive manner, giving you an edge over your competitors. The theme is optimized for mobile devices and looks stunning on different screen sizes and resolutions. It’s retina-ready, contains a drag and drop page builder, is WooCommerce compatible and so on. Do you want to create a WordPress site based on iOS 7 or material inspired design? In that case, The7 theme is exactly what you want. It is the most advanced theme that features a responsive, fluid and retina-ready layout. The theme offers tons of customization options – that renders the ability to make any changes to the look and feel of the theme. The theme is trusted by over 26,000 users and is perfectly-suited for beginners. It features exceptional design that will help you stand out from the rest. Besides this, it provides automatic updates, unmatched customer support and unique shortcodes. Karma visual composer page building tool makes it easier to create content-heavy pages in no time. Another feature-packed multi-purpose WordPress theme, Jupiter will best fit your needs to build new-generation WordPress site. This theme comes with the most advanced template system and offers 25 design templates – available in 6 categories. It boasts a lightweight admin panel that makes customizing the theme layout fun and easy. If you want to build a DIY (do-it-yourself) site, then Striking is the right theme for you. It’s a highly flexible and customizable theme that can be used for building any sort of creative website (like photography, video, etc. ), e-commerce site, blogs and many more. It comes with features that provides better control and customization ability that you may not find in any generic premium WordPress theme. It helps in building simple sites that can be easily customized based on your growing and complex needs. Creators of BeTheme proclaim it to be “the biggest theme ever”, which can’t be denied considering that you get access to 130+ pre-made designs for the price of one. What’s more? The designs can be installed in just 1-click. This theme is ideal to be used by users who love to create grid-based layouts, since it gives the option to begin with a base grid and pick a layout. This is the best selling fully-responsive WordPress theme for creating photography sites. 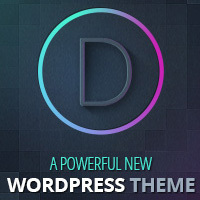 The theme comes packed with a rich feature-set, including unlimited fullscreen backgrounds, 7 unique galleries, 35+ shortcodes, widget-ready footers and sidebars and many more features. This is one of the best selling blog and magazine theme. It is a 100% responsive and retina-ready WordPress theme that gives you the ability to turn-off the responsive mode. It is compatible with two of the most popular WordPress plugins called BuddyPress and bbPress. Furthermore, it comes with a TiePage builder that helps in building beautiful homepage layouts. Modernize best suit your needs of building a WordPress site based on modern design style, containing awesome features. The page builder of the Modernize theme enables to create web pages using the drag-drop module. Furthermore, it also provides several other options such as color elements, 350+ fonts, 15 predefined background patterns and a lot more. This is yet another responsive, multi-purpose WordPress theme that is designed to cater the needs of users wanting to build modern-style websites. Kallyas is a highly flexible theme that can be used to create a site for any niche – be it real estate, agency, non-profit organizations and more. In addition to this, the theme is ready as an e-commerce platform and comes with pre-made styles that will help you build an online store within minutes. Some of the features of this theme are 12 homepage designs, live page builder, numerous top page sliders, hero scenes and much more. If you’ve been looking out for a theme that separates design from content, then inFocus is the right choice for you. The theme comes with everything that makes customization a breeze. It’s Revolutionary Skinning System enables to create a more personalized and unique skins. You can learn every aspect of the inFocus theme framework, including its admin panel and CPT (custom post types) through its extensive documentation and so on. With more than 12,000 satisfied users, Inovado is a responsive and retina-ready theme that serves as a powerful business tool. It is an extremely versatile theme that comes with robust customization settings. The theme help customize the layouts, styles and colors in just a few minutes. It comes pre-packed with tons of features like built-in mega menus, revolution slider, WooCommerce shop, 25+ pre-configured layouts, over 240 font awesome icons, etc. Trusted by more than 90,000 users, is suffice to say that the Core Minimalist Photography Portfolio theme is worth a try. Apart from creating a photography site, this theme can also be used for building personal site. The theme features a responsive design, 3 homepage styles, 8 custom widgets, styled typography and many other features. Dandelion provides everything that will help you display your products and your niche in a polished and professional way. It is a highly flexible theme, and most importantly, it makes the task of changing the color scheme simple – without having to use an image editor. The theme can be used for building responsive websites like business site, portfolio, and personal sites. It contains a rich set of features, including jQuery sliders, unlimited skins, flexible portfolio galleries, etc. This is a great theme for setting up a versatile e-commerce online store. It comes with unlimited layout options and skins, and thereby allows you to customize the theme based on your exact needs. You can choose to have a full width or a boxed style layout and can also add content on the main page with widgets and shortcodes. The theme is translation-ready, comes with 8 slider options, 300+ font icons, responsive design and several other features. Last on our list of best selling WordPress themes is Commodore – that feature a classic design with a glossy look. The theme looks great, no matter whether it is being accessed via a Retina MacBook Pro, a Retina iPad, or any other high-resolution device. This is because theme automatically adjusts to the visitor’s device pixel-density ratio. It’s a fully-responsive theme that comes with WordPress Customizer support, flexible typography, theme updates, layout builder and a lot more. Are you searching for a suitable premium WordPress theme to setup your site? In that case, you can refer to the best selling themes listed above. All the themes come loaded with a wide variety of features, and are designed to meet the need of varied industry verticals. Ava Garcia is a WordPress developer by profession and is working with OSSMedia Ltd- a WordPress Outsourcing and WordPress Theme customization services company for the last 5 years. She loves to share information regarding web technology.